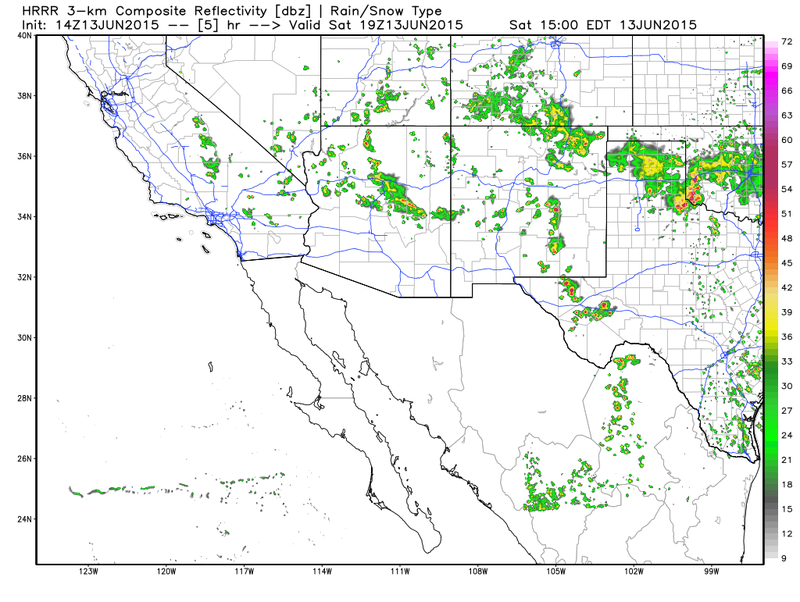 Thunderstorms Return To SE NM - Some May Be Severe! As Of 8:15 AM MDT This Morning. 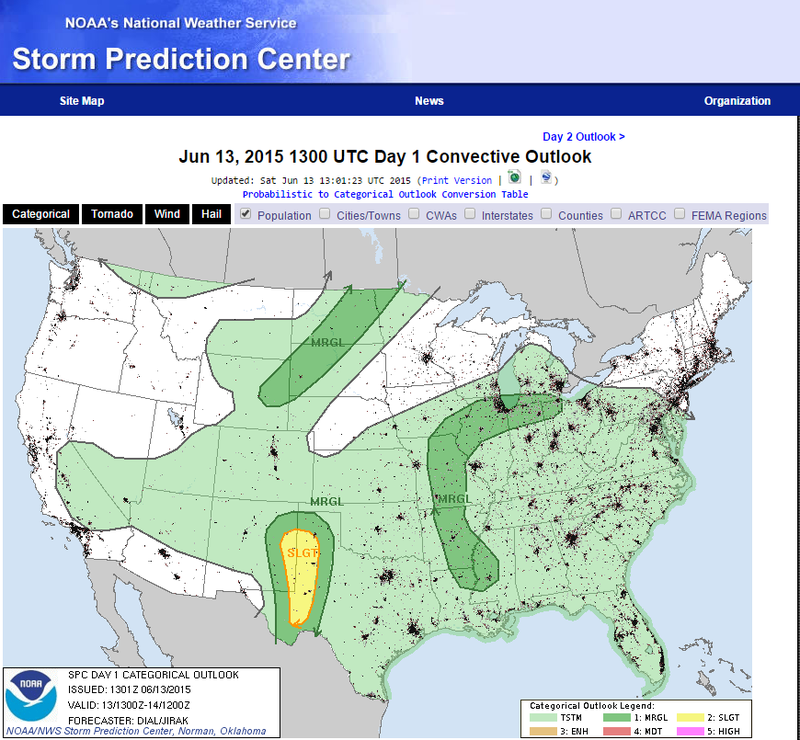 Severe Thunderstorms Possible Today Into Tonight. 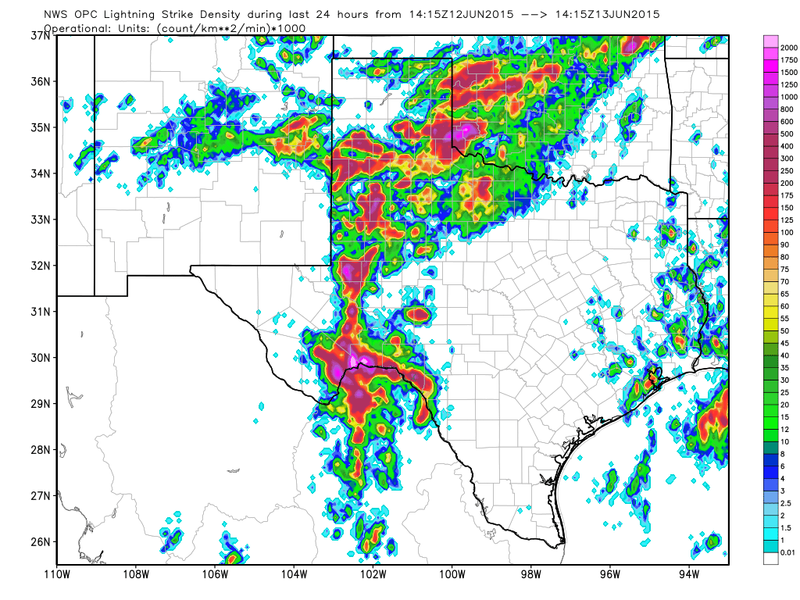 Severe thunderstorms broke out over West Texas yesterday afternoon and evening. 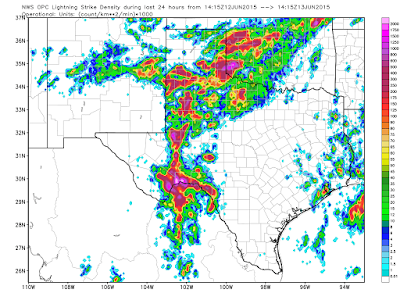 Golf ball to baseball size hail was reported in the Midland and Odessa, Texas areas. 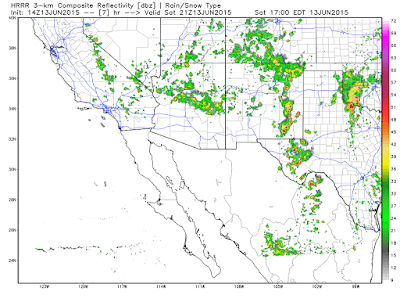 Severe thunderstorms will be possible this afternoon and evening over eastern and southeastern New Mexico and West Texas. 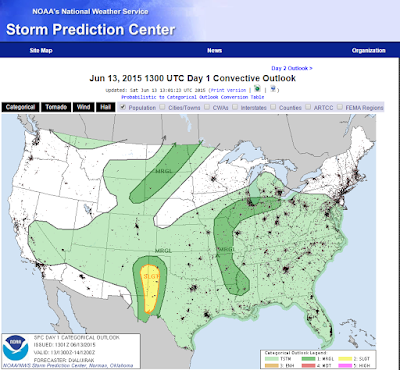 Large hail, damaging thunderstorm wind gusts, and locally heavy rainfall will be the main threats from these storms. However I don't think that an isolated tornado or two can be completely ruled out especially with the stronger supercell thunderstorms. 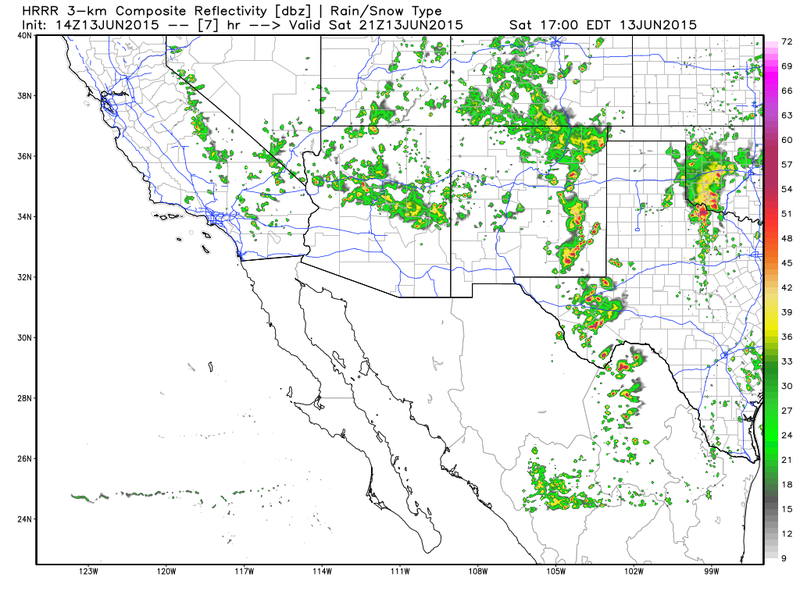 14Z/8 AM MDT HRRR Simulated Radar Forecast. Valid @ 19Z/1 PM MDT Today. 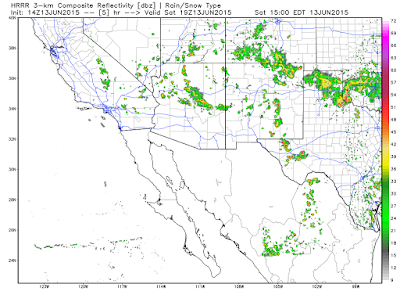 Valid @ 21Z/3 PM MDT Today. 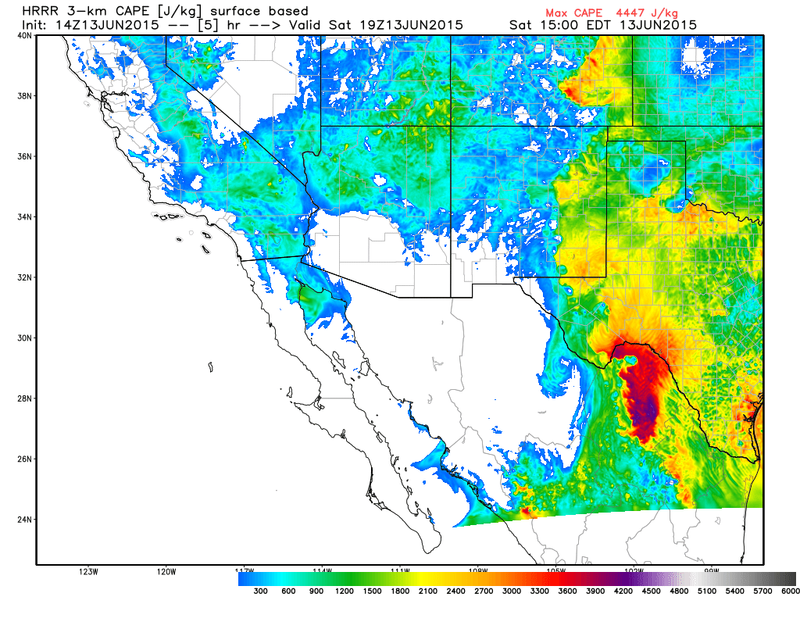 14Z/8 AM MDT HRRR Surface Based Cape Forecast.